In San Diego and looking for a fun way to spend the day? If you’re heading downtown there is plenty to do and see with the kids! 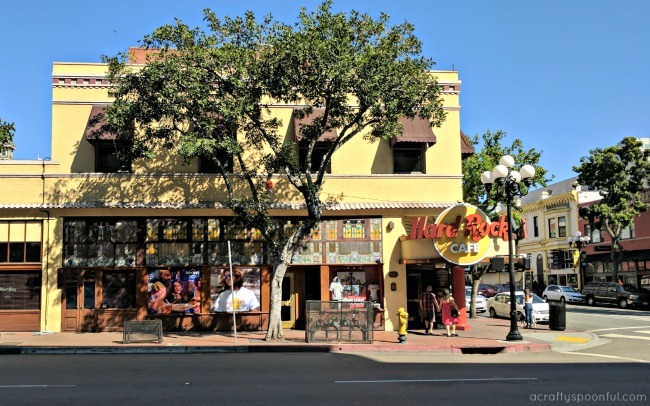 From great kid-friendly museums like the San Diego Children’s Museum to kid-friendly activities at Horton Plaza Park and kid-friendly restaurants like the Hard Rock Cafe, you’ll never tire of the fun to be had in Downtown San Diego. One thing we love doing is planning one day a month where we do something new in our city. 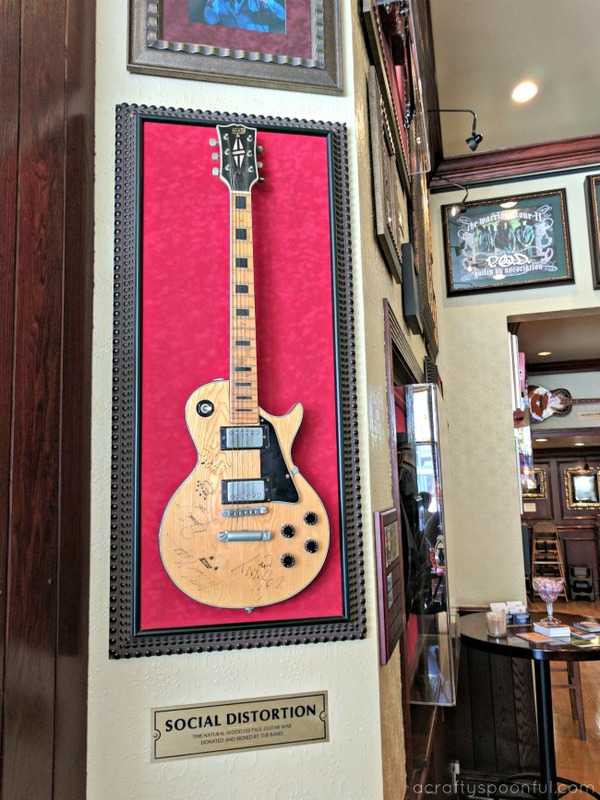 This month we decided to hit up Horton Plaza Park for some playtime and grab lunch at the Hard Rock Cafe. Not only was it the perfect afternoon out of the house, it allowed us to enjoy our city and the gorgeous weather we’ve been having lately! This museum is great for kids 10 and under who are looking to enjoy hands-on experiences. There are interactive art exhibits, workshops, and camps, as well as immersive art studios to allow the kids to do what they do best – explore, learn, and create! Learn more on their website. 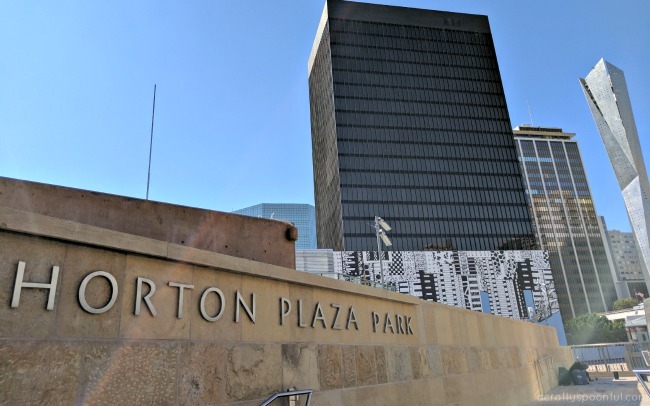 Horton Plaza got a snazzy new upgrade and is now home to Horton Plaza Park, a gorgeous area in front of Westfield Horton Plaza that includes a Starbucks, Sloan’s Ice Cream, and water play at the fountain. While you’re there, take advantage of Plaza Play and enjoy a game of Lawn Darts, Jenga, and other lawn games every Thursday & Friday from 11:30AM – 2:30PM and Saturday & Sunday from 11:30AM – 4:30PM. If you are planning on letting the kids enjoy the water fountain, make sure to bring an extra pair of clothes! We may or may not have had to step into Gymboree to buy a few outfits for them after allowing them to enjoy a nice soak in the fountain water. But they loved every minute of it! My husband and I absolutely love heading to the Civic Theater to watch the latest shows at Broadway San Diego. We’ve been season ticket holders for the past 3 years and it’s something we look forward to every year. Throughout the year there are some great shows to bring the kids to! Just recently we saw Matilda and coming up is Finding Neverland! The one place I love visiting over and over again when I’m downtown is Seaport Village. I don’t know what it is about this little shopping area or why I always want to come back. And now with the Headquarters right next door, I have even more reasons to come visit again. Maybe it’s just because I love good shopping and delicious food? The kids will love hitting up the carousel and Ben & Jerry’s while at Seaport Village. And don’t forget to check out the old jail at The Headquarters. This is my kids’ favorite place to visit. My daughter loves reading what the inmates were incarcerated for back when the jail was still operational. And she loves sticking her brother in one of the cells. You can also purchase great gifts, cheeses, and chocolates while you’re there among other things. With the Star of India, USS Midway, and many other gems along the Embarcadero, it’s a must see for those visiting San Diego or exploring for the 100th time. You can also enjoy a harbor cruise on one of the many cruise ships in the Embarcadero. We love checking out Flagship Cruises to see if they have any special events happening. They’re also perfect for whale watching season! While it is a bit farther than the other areas, we love heading to Balboa Park to explore the various museums and attractions (including our famous San Diego Zoo). If you have time, grab an explorer pass and really get to explore what Balboa Park has to offer! And don’t forget to stop by and see what’s new at the San Diego Natural History Museum. Dinos are taking center stage right now! 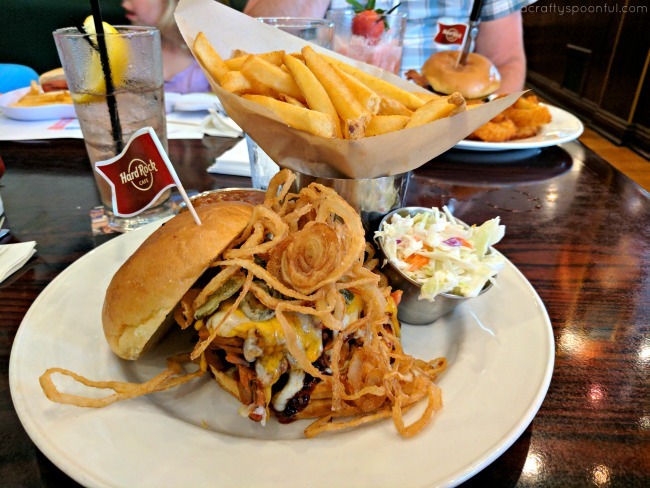 We were recently invited to head down to the Hard Rock Cafe San Diego and try out their awesome menu. 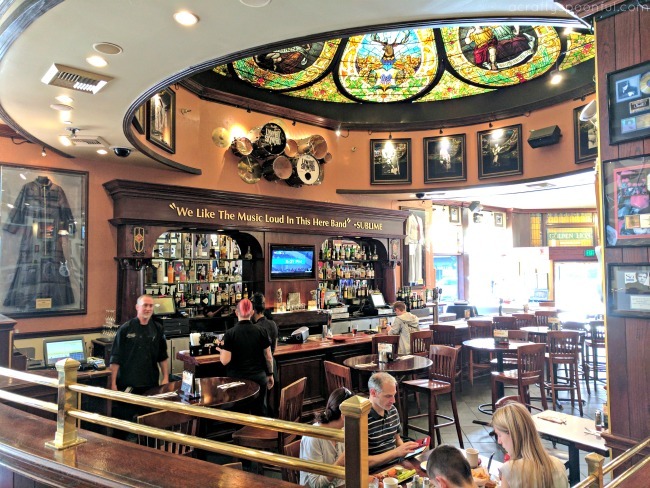 The location was so convenient for our family as it’s within walking distance of Horton Plaza Park (across the street). The menu was extensive and they had a great selection of drinks and kids items. I enjoyed a delicious Texan pulled pork sandwich paired with a southern rock while my husband had a burger with strawberry lemonade. 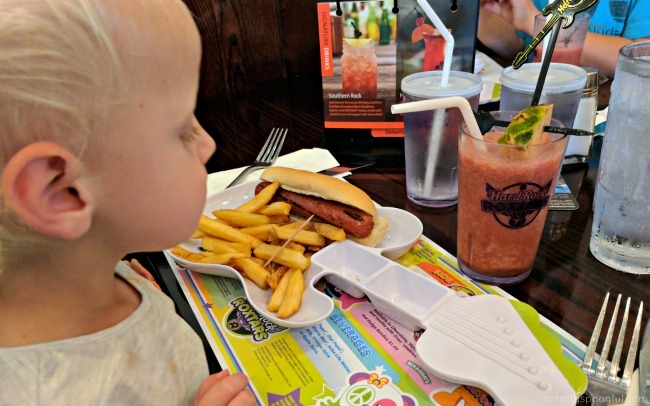 The kids took advantage of the delicious smoothies and hot dogs on the kids menu. We ended our meal with an amazing hot fudge brownie. Pictures do not do this dessert justice! It’s massive and was perfect for our family of 5. No one felt left out. Next time we’re trying the fresh apple cobbler per my husband’s request. The best part about this restaurant is the ambiance. Being surrounded by our favorite band’s memorabilia and quotes made our experience even more awesome. And just like the Hard Rock Hotel (which I highly recommend), the service and attention to detail is spot on! You feel like a part of the family as soon as you walk in. When you’re out and about in Downtown San Diego, especially when there’s an event going on, make sure to keep an eye out for the delicious food trucks our city has driving around. You can take a look at the food truck schedule by visiting their website. While we love quite a few restaurants in Downtown San Diego, the sandwiches at Double Standard keep me coming back for more. Plus the kids love their pizza! The menu is always changing so stop by and check out what they are serving up. I’m sure it’ll be delicious! 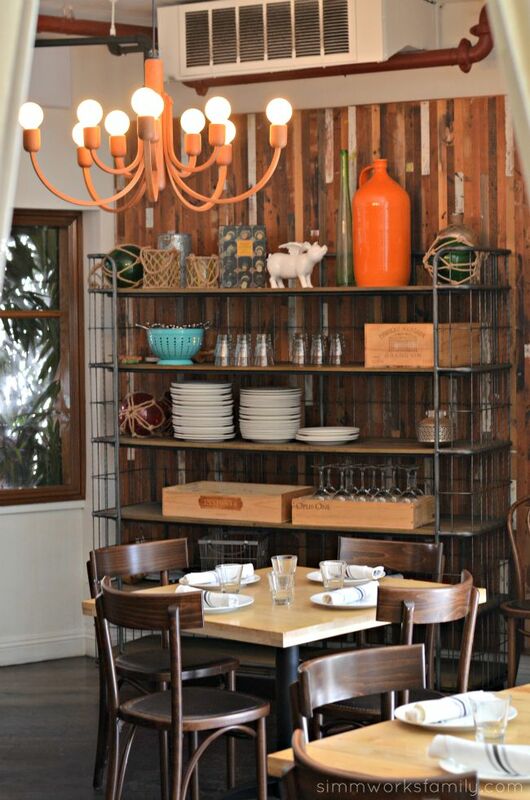 When we’re with the kids we prefer coming for lunch as it’s a little less crowded and we can snag a comfy couch seat. If you didn’t snag an amazing brownie sundae at Hard Rock Cafe, stop by Ghiradelli. 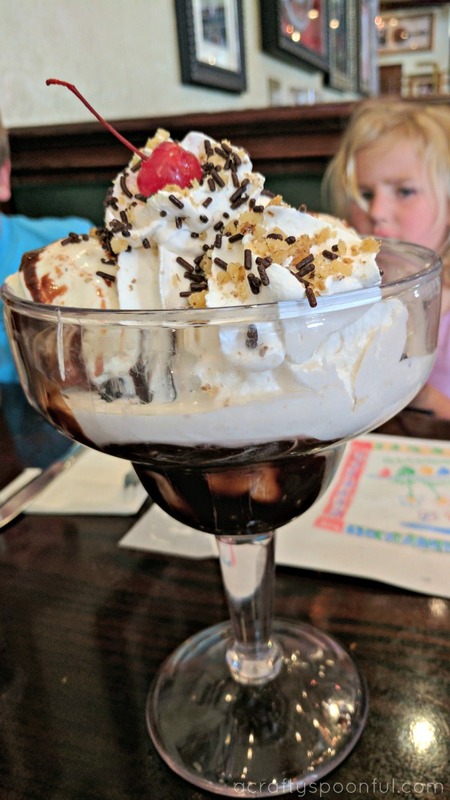 For a scrumptious ice cream dish to share with the whole family! It’s close to all of the other restaurants and places we’ve previously mentioned so it’s a great place to end the night (or day)! 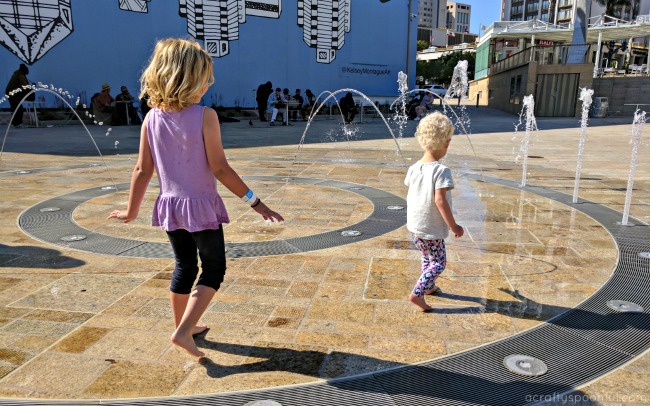 No matter what you do while you’re in Downtown San Diego, I’m sure you’ll have fun doing it! If you have any suggestions for kid-friendly activities, please feel free to leave them in the comments below! 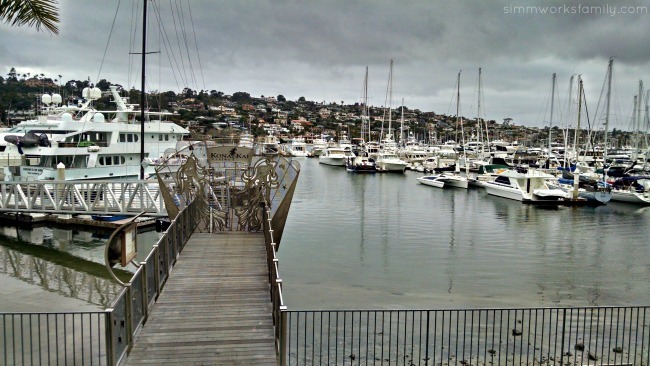 We’re always looking for something new to explore in San Diego! 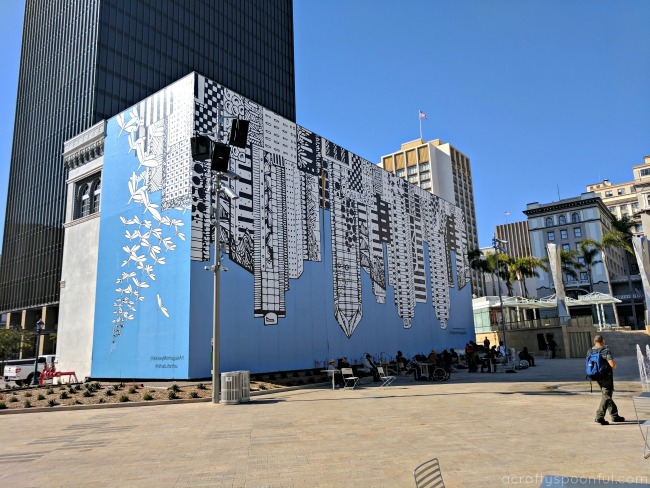 What’s your favorite thing to do in Downtown San Diego? Disclosure: Our family was provided a free meal at the Hard Rock Cafe San Diego. 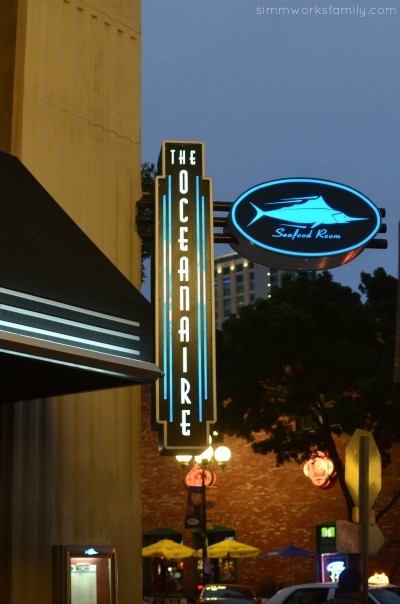 One of the best things about date night in San Diego, besides the weather, is the plethora of dinner options downtown after we head out of the theater. This past weekend our season tickets to Broadway SD took us to see Rent. It was my first time and I loved it. Why hadn’t I seen it before? I have friends who’ve seen it over 5 times (at various theaters)! After the musical, we were invited to try out the delicious sounding Restaurant Week menu at Greystone Steakhouse on 5th Avenue. Neither my husband or I had ever been there but the menu online was quite intriguing. Certified waygu beef straight from the source? Delicious surf and turf options? Yes please! We were able to walk to the restaurant from the civic theater in less than 10 minutes. The perfect distance to take in the city but not feel out of breath getting from one place to another. And once we walked up we were greeted by a host at their outdoor patio. 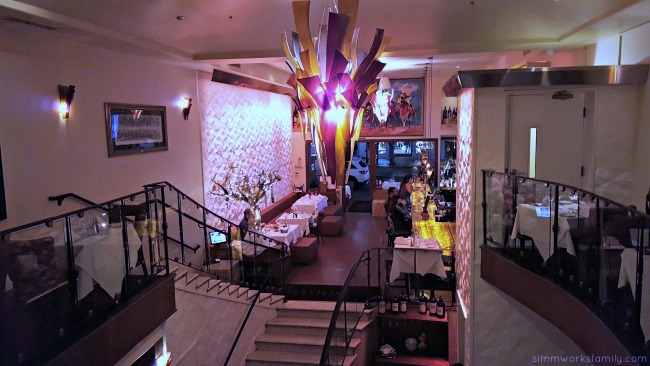 We walked in and went through the bar and up to an intimate seating area. There was another seating area downstairs from where we were that mirrored the same layout. To start we ordered the kale cesar salad. It was the perfect ratio of lettuce to cheese to dressing and the crunch of the romaine fit in perfectly with the earthiness of the kale. Shortly after enjoying our salads we were asked if we’d like to try a few of their other options. The wildboar sausage and big eye tuna tartar were brought out for us to sample. I could not get enough of either however my husband preferred the wildboar sausage. Sweet and savory all on one plate! But to be fair, he’s not much of a raw fish person. Then our entrees came out. My husband is a huge steak fan and ordered the petite filet where I wanted to try something a little different. Now I know chicken may not sound different but I hadn’t ordered a chicken dish in so long. 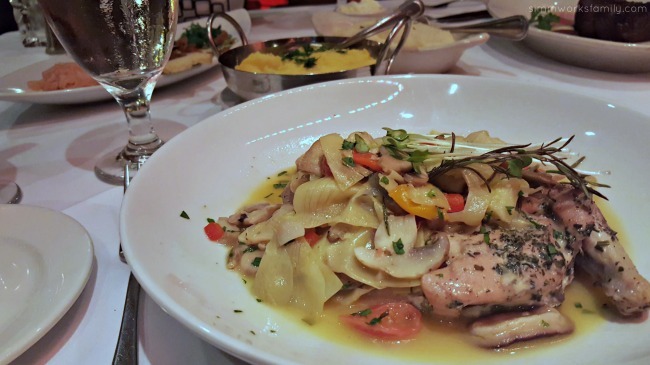 And the smoked butter-basted chicken breast with leeks, artichokes, and mushrooms sounded too good not to try. I was also pleasantly surprised to find saffron cauliflower mash. Since I’m following a low carb diet, this meal was right up my alley! And for those who are gluten free, almost the entire menu is gluten free as well! There are also select dishes that are dairy free also. What a great find, right? Another delicious side that was brought out for us to try were the bacon fig brussel sprouts. 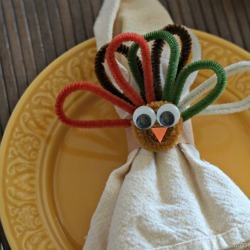 I thought they were a bit too sweet for my taste but my husband enjoyed one or two alongside is mashed potatoes. 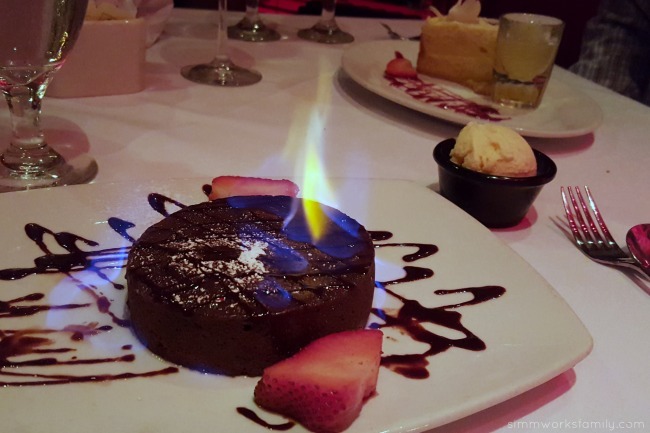 When dessert came, my husband couldn’t decide between the chocolate lava cake (they flambe it!) or the lemoncello sponge cake so our kind waiter talked him into getting both. The tableside flambe really was a treat! And the lemoncello cake came with a shot of lemoncello. I know a few people who would LOVE this dessert. Since I’m not eating sweets right now, we had plenty left over for the kids to help dig into. And boy did they like that. 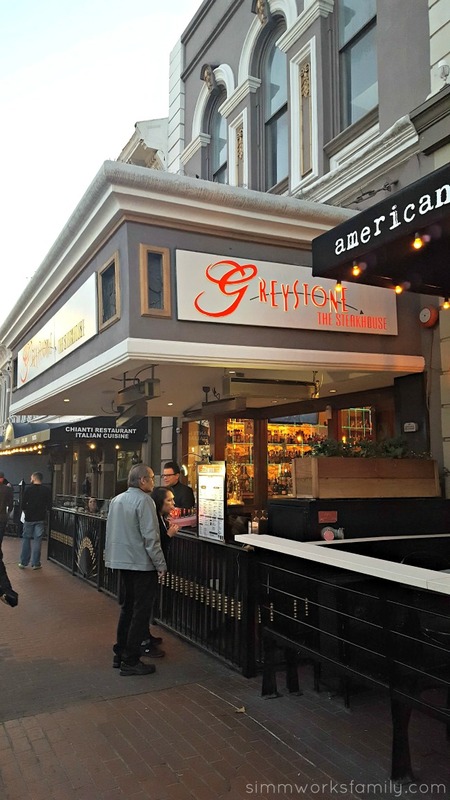 For San Diego Restaurant Week, Greystone Steakhouse offers 3 different selections for dinner options with them. a $40 person menu, a $50 person menu, and a $60 person menu. 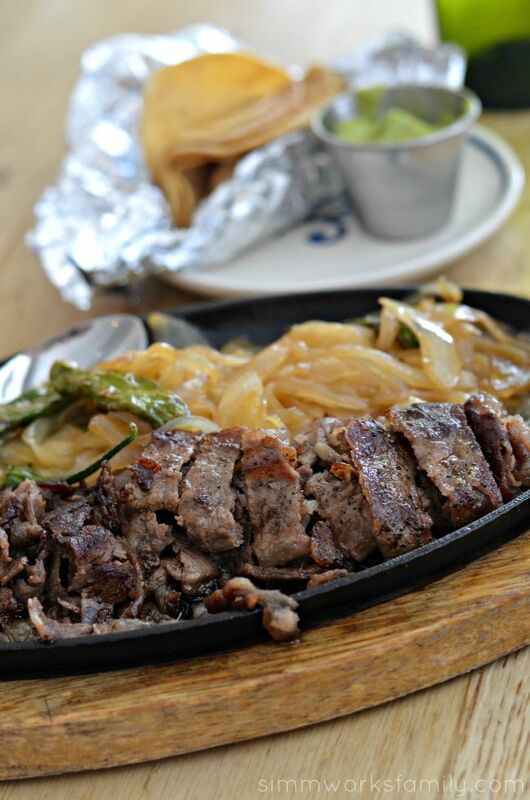 You can find all of the selections offered in each menu here. 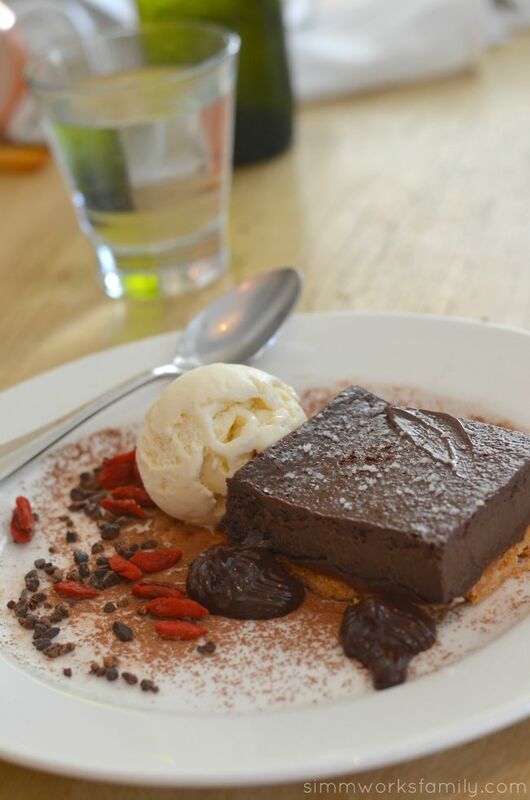 And as I mentioned previously, this restaurant is perfect for those who are gluten free or dairy free and have such a large array of options to fit any dietary needs. The saffron cauliflower mash was amazing and paired perfectly with my chicken (or my husband’s filet). And the food was so full of layered flavor. Definitely a treat for date night! The 13th Annual San Diego Restaurant Week returns Sunday, January 15th through Sunday, January 22nd for an edible extravaganza to ring in the New Year! 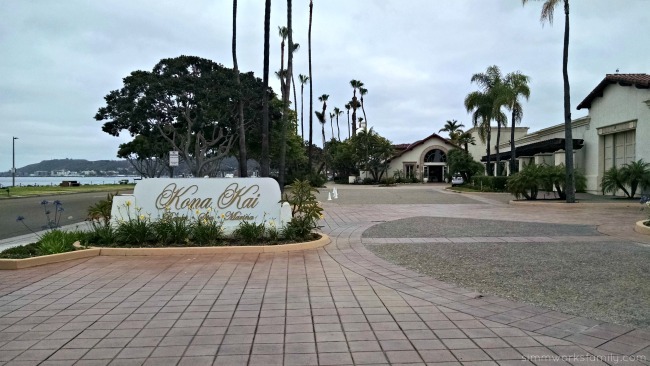 With over 180 participating restaurants offering prix-fixe menu options throughout San Diego County, you’re sure to find the perfect place to satisfy any craving. San Diego Restaurant Week is proud to announce a very delicious partnership for January 2017 as many of the San Diego Restaurant Week restaurants team up with local Girl Scouts to celebrate the arrival of Girl Scouting in San Diego 100 years ago, as well as the 100th anniversary of delectable, scrumptious, delicious Girl Scout Cookies! To celebrate, chefs are getting creative with America’s favorite cookies to dish out special offerings for SDRW diners. Satisfy your cookie cravings early by dining out at participating restaurants offering sweet and savory menu items before Girl Scout Cookie Season begins! 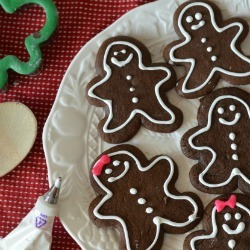 Enjoy dishes featuring Thin Mints, Do-si-dos, Trefoils, Samoas, Tagalongs, and Savannah Smiles used in recipes that are sure to surprise you. Naturally, you can expect decadent desserts featuring these beloved cookies – but our restaurants are taking Girl Scout cookies to the next level with dishes like Samoas Crusted Fried Shrimp, Do-si-dos Peanut Thai Chicken, salads featuring toasted Trefoil croutons, and more! I don’t talk much about my marriage here on the blog. It’s something I like to keep just between my husband and myself. But one thing I have shared on here are our date nights. I’ve even offered tips on making date night a priority. Ever since having my son (almost) 7 years ago, it’s been an important part of our marriage and something that allows us to connect with each other a monthly basis. It’s important to schedule date night in advance if you can. Put it on both of your calendars and set a reminder! We’ve even purchased season tickets to the local theater so we have a built in date night already paid for a few times a year. But date nights don’t have to be elaborate or expensive if you don’t want them. They can be as simple as take out and a bottle of wine at home in front of the TV. As long as the kids are either sleeping over at Grandma’s or fast asleep in their beds. And the tablets, laptops, and phones are put away. And when the kids are little, consider date afternoons. Since I prefer to put our kids to bed when they’re babies, we move our schedule around and enjoy afternoons together instead of evenings. It still gives us the time together but then we’re home in the evenings with the kids. However when they get older, it’s also nice to schedule 1-2 nights away from the kids as well if you can! If you have kids you know why this is so important. Whenever my husband and I have conversations at home and the kids are around it’s in short bursts here and there because we’re constantly getting interrupted to tie a shoelace, get a snack, or stop one kid from beating on the other. Being able to have alone time with one another without interruption is something that’s allowed the both of us to talk about anything and everything that’s been going on lately. Whether it’s the job, finances, our upcoming plans for the next month, or the next birthday, we can start and finish a conversation during date night all in one sitting. While date night is great for communication without interruption, we try to leave talking about the kids to a minimum. We can do that at home after bedtime. Or via text message throughout the day. Leaving the kid talk to a minimum gives us the opportunity to chat about ourselves. Our relationship cannot just be based on our children, because that wouldn’t be marriage, that’d just be co-parenting. So we take this time to talk about our relationship and the topics we want to discuss but might not have had the chance during our busy days. Through date night we’ve both been able to plan events that the other might not necessarily love. I give in to an action movie he wants to see, and he sits through a play I want to see. Or we try a new restaurant out together. It’s fun to explore and create new memories with him that we can share. It keeps the time we spend together interesting. With the craziness of our lives, work, the kids, meetings, after school commitments, sports, etc, sometimes it’s hard to find alone time. There are some days where I see my husband only in passing. And the only conversations we have are about who’s picking up the kids or what bills need to be paid. We’ve realized that with the crazy, we need the calm. We need alone time together so we don’t forget how to talk to one another. Every date is an opportunity to reconnect with my husband. I get to know him more, we get to talk about what’s important to us (or just chat about nothing at all), and we spend quality time together. And when you’ve been together for 15 years (married for 8.5) that reconnection is what keeps the relationship strong. Sure, there are difficult times. But that doesn’t mean we stop date night. It means we continue to get together even when we’re mad in an effort to continue to keep that conversation going. Because marriage is fluid. Marriage is constantly changing just as we as individuals are. And we need that reconnection, that continuation of growth, to keep our marriage strong. Do you have regular date nights with your significant other? One thing I absolutely love to do is get out and try new restaurants here in San Diego. 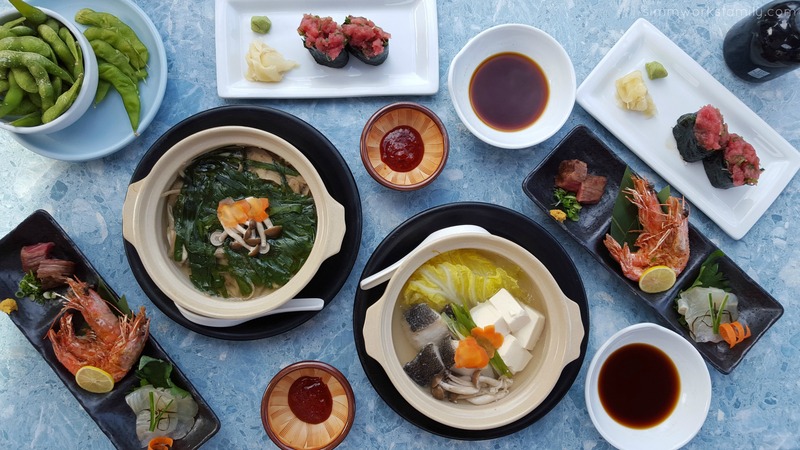 There are so many options when it comes to quality, delicious restaurants and it seems like new spots pop up every other week. So what I love to do is explore a bit and try new things. 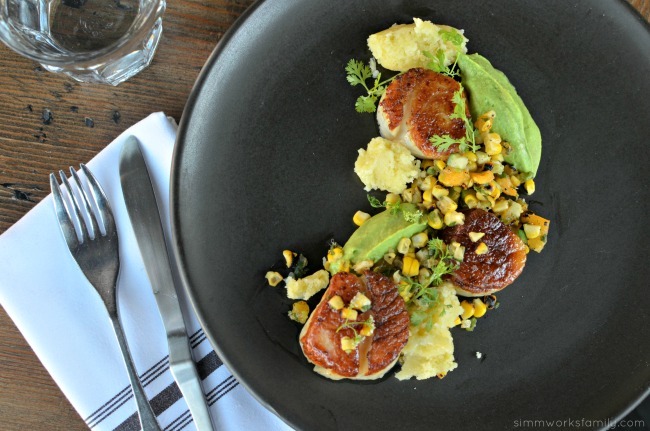 The perfect way to do this is to take advantage of San Diego Restaurant Week. For one week only, September 20th – 27th, San Diego Restaurant Week, presented by Your San Diego County Lexus Dealer, will return to the City with a bang! During San Diego Restaurant Week, participating restaurants will CELEBRATE LOCAL by partnering with local distributors, farmers, vintners, brewers, fishermen and MORE in order to bring local produce and Pacific-caught seafood to your plates. You can choose from over 190 participating restaurants who will be showcasing their top dishes on lunch and dinner prix-fixe menus making your taste buds tingle with choices! 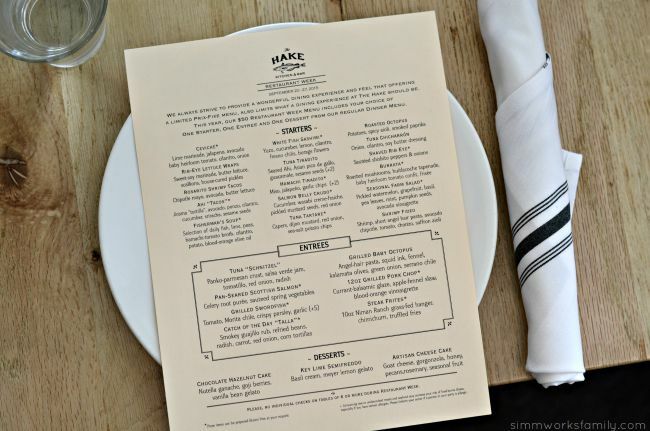 My husband and I were invited out to try The Hake Kitchen and Bar to check out their San Diego Restaurant Week menu before it launches next week. Since we hadn’t been there before we weren’t sure what to expect. But that’s what Restaurant Week is there for! 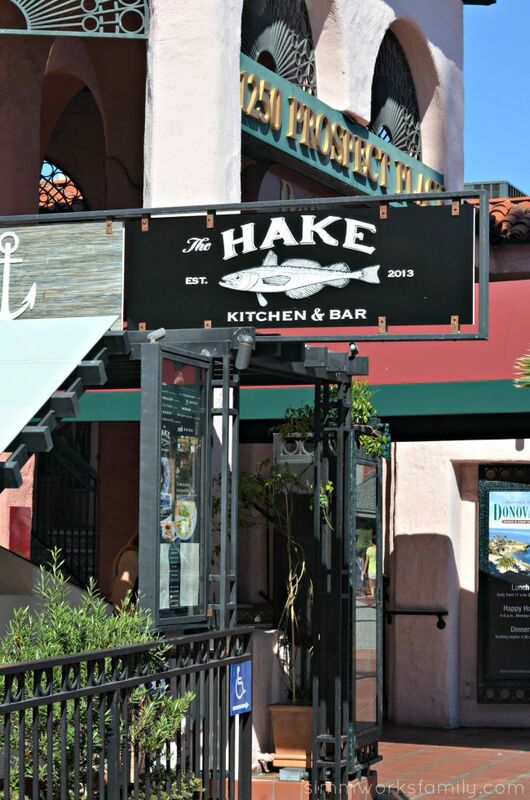 Nestled between shops and restaurants off Prospect in La Jolla, The Hake Kitchen is in a prime location. It’s the perfect spot to hit up for lunch on the weekends after a morning at the beach, or a great way to end the day for dinner during the week. Once you walk in, you’re greeted with smiling faces a warm, friendly atmosphere.As soon as I saw the sign above, I knew I was in the right place. There’s seating inside as well as a few limited tables out on the two patios. 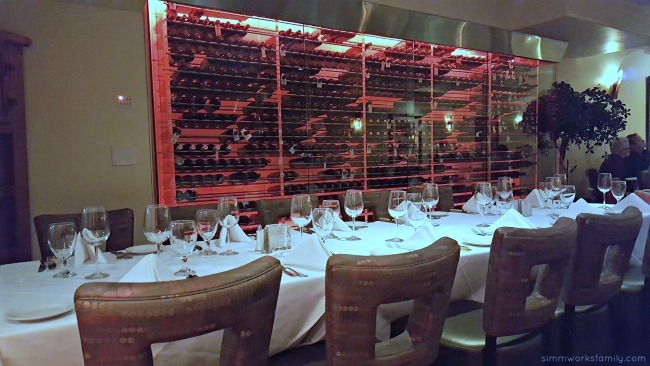 There’s also a simple curtain divider to make room for small parties on one side of the restaurant. We chose to sit inside near the front patio and the restaurant was more than accomodating when they saw we brought our little one along. High chairs are available. 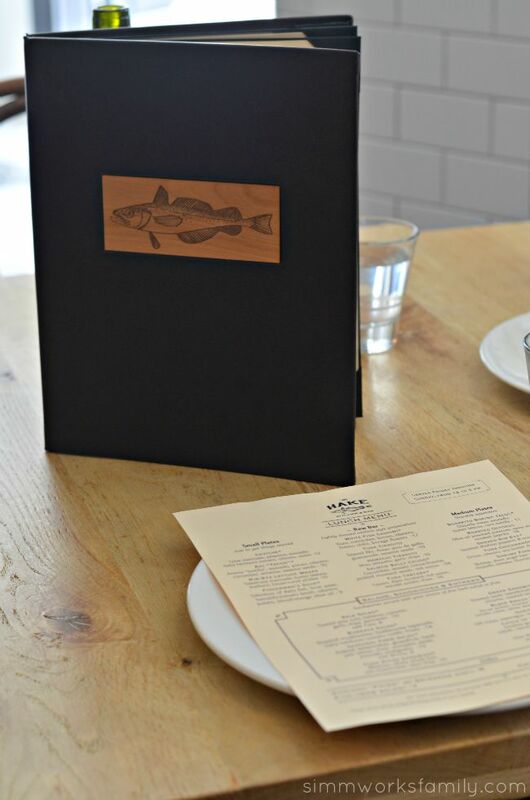 The delicious menu with fresh seasonal ingredients will have you wanting to order more than one thing to try. 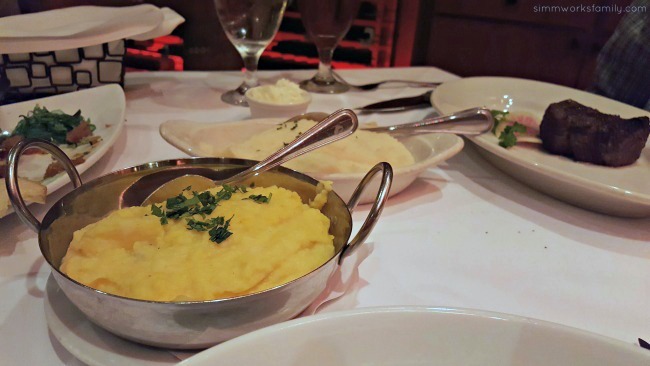 Ordering a few starters for the table to share is suggested. That way you can have a bite of everything! 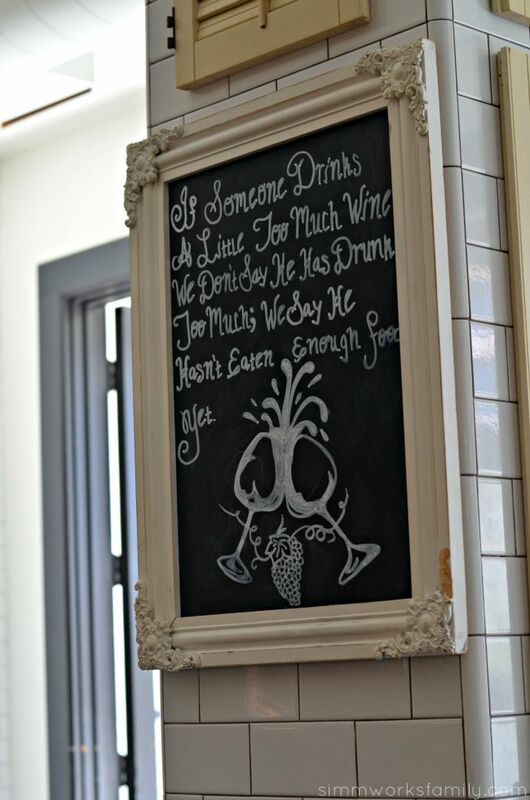 There’s also a wide variety of signature cocktails, draft and bottled beers, and mezcal flights – something for everyone. Their most popular signature drink, the One Hot Cucumber, is a fiery drink made with jalapeno tequila, cucumber puree, lime, agave nectar, and finished with a chili rim. 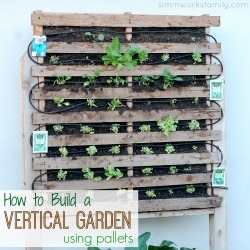 Definitely one to try! I made the most of our visit and started us off with the Shaved Rib Eye. Paired with sauteed shishito peppers and onions and served with delicious hot tortillas and fresh guacamole, this definitely hit the spot. The rib eye was tender and flavorful and the peppers and onions were perfectly cooked. I’d suggest asking for a few extra tortillas so you can enjoy more of the goodness! After we enjoyed our starter, the main courses arrived. Since we were there for lunch, we went for their shrimp roll and tuna steak sandwich. Now I was surprised by my husband’s choice of the tuna steak sandwich. Not because he doesn’t eat tuna, but because there was also a 10oz hanger steak with chimichurri sauce and truffle fries on the menu and he didn’t order that! But his tuna steak sandwich looked absolutely delicious. 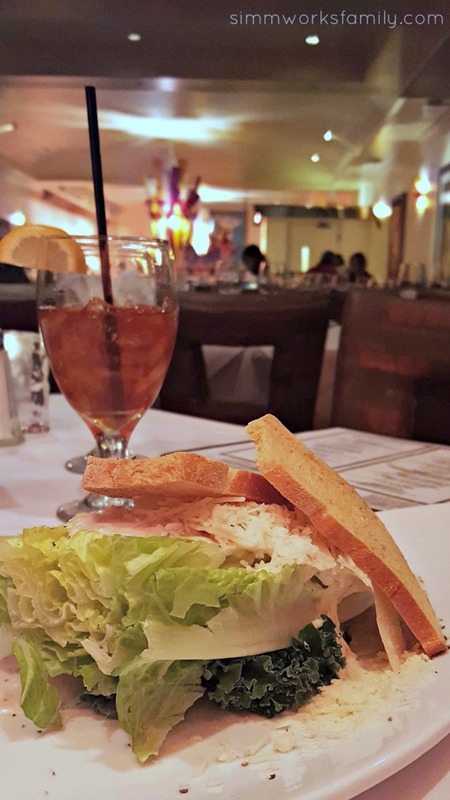 The shrimp roll was filled with large shrimp and fresh veggies tossed in a light dill mayo and served in a toasted brioche roll. The first bite was rather awkward as it was pretty large but it was so worth it! Absolutely delicious. I loved how fresh and flavorful it was. To end the meal we went a little crazy and each of us ordered a dessert. Now I’m a chocolate person. So when I saw the chocolate hazelnut cake on the menu I knew I wanted to try it. 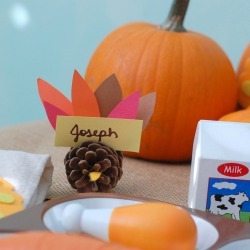 But since Joseph’s allergic to peanuts, he doesn’t really care for any nuts. So he went for the Key Lime Semifreddo. 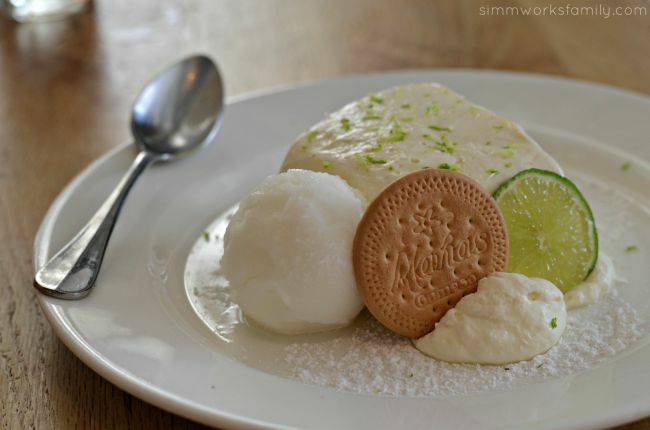 If I had tried the Key Lime Semifreddo, I would have just eaten that. It was SO good! Not at all what I expected. Not that my chocolate hazelnut cake wasn’t good, it was! Absolutely delicious. And it would pair perfectly with a nice espresso. But the key lime semifreddo? To die for! I now know why why it’s won awards! To make San Diego dining easier for you ALL YEAR ROUND, San Diego Restaurant Week has launched a new website! The new site has added more extensive search features, a recipes section with local restaurantcontributors, a special offers area that will be updated throughout the year and even a place where you can log your favorites to help you track through the variety of options available for you. The website will now serve as a tool for San Diego foodies 365 days a year for finding specials, deals and promotions at San Diego restaurants! 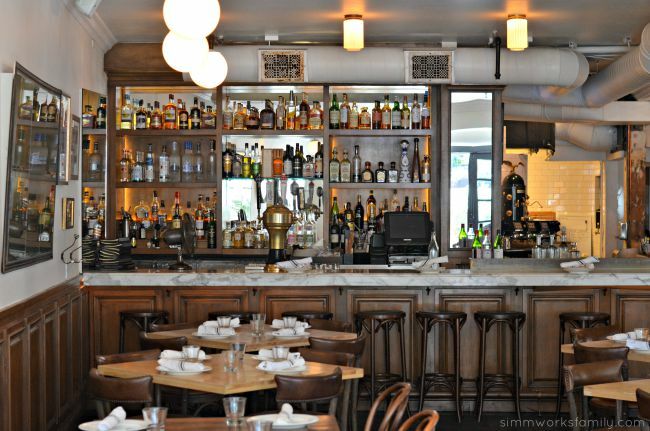 Dinner will be served as a three-course, prix-fixe menu for just $20, $30, $40 or $50 per person and lunch will be served as a two-course prix-fixe menu for only $10, $15 or $20 per person. This is meal-stealing, people! Saturday will once again be included as well as an additional Sunday, giving you that extra date night or chance to impress the boss! 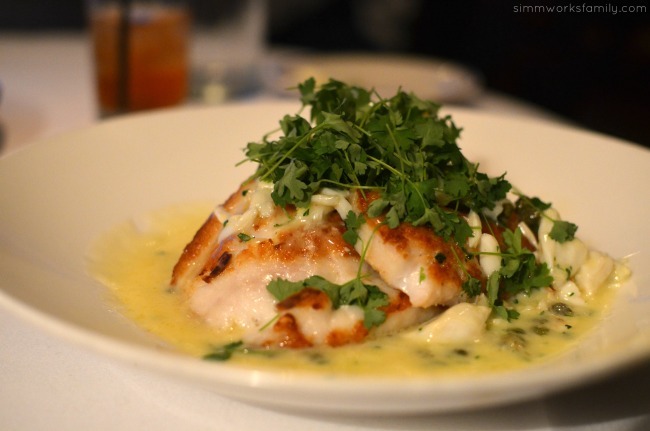 What restaurant are you trying during San Diego Restaurant Week? With a 6 month old at home (who refuses to take a bottle now) it’s a little hard to get out for date night. But that doesn’t stop my husband and I from spending time together. Instead of heading out for a date night together at a nice restaurant, I try and find delicious, simple meals I can make at home that we can enjoy after the kids go to bed. Now we don’t let the kids starve, we make them something fun like hot dogs or mac and cheese from the box. They consider that a treat and are happy to eat dinner without us. Once we sucker them into their beds, it’s our time! Now since it’s summer and I’m already using the stove for the kids meal, I don’t want to have to wait a while to get our meal going. So while the husband is putting the older two to bed, I get the barbecue ready and my rice cooker going. By using something other than the oven to make our dinner, we don’t have to worry about the heat. I have to admit. I’ve never considered making cornish hens for dinner. But after seeing them at our local Walmart in the freezer section, I figured I’d give it a shot and try them out. And since Tyson Cornish Hens are All Natural with no artificial ingredients, preservatives, added hormones or steroids, they fit perfectly with our family. Paired with the Kikkoman stir-fry sauce as a glaze and I’d have a deliciously tasty main course! 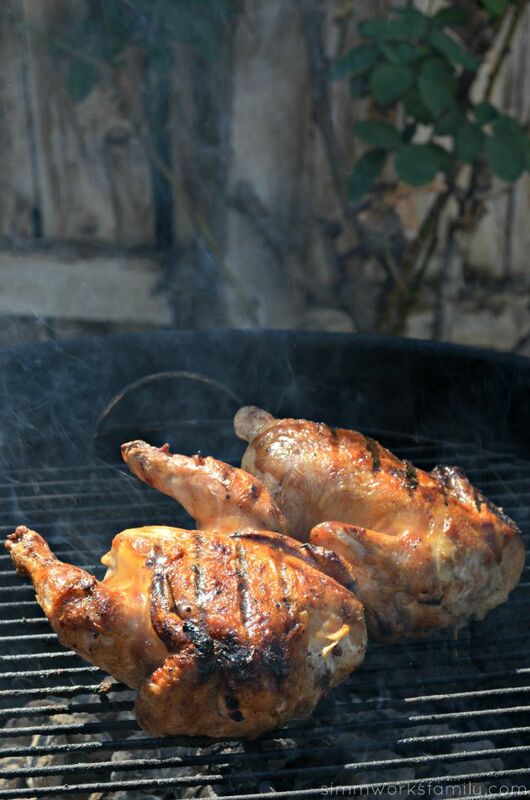 Kikkoman’s full line of sauces and marinades are perfect for the grilling season. Next time I want to try the sweet & sour sauce! Now for the side dish. Since I was going with an Asian themed meat dish I knew I wanted to make some fried rice. But didn’t have any time (or cooked rice) to do so. So in the rice cooker everything went! And it turned out surprisingly well. No sauteeing or cooking ahead. 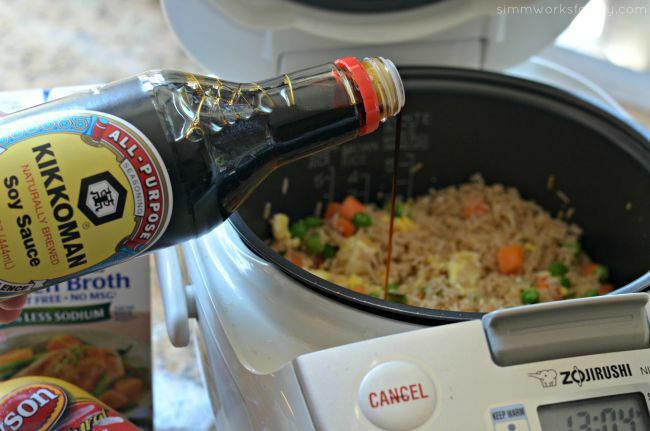 I could make fried rice without having to have leftovers on hand in the fridge to do so. The only thing I had to do was scramble an egg before I put everything in the rice cooker. Wash rice thoroughly in a mesh strainer until water is clear. Add to rice cooker. On top of the rice add frozen vegetables, garlic, ginger, onion powder and scrambled eggs. Top with Kikkoman Soy Sauce and stir to combine. 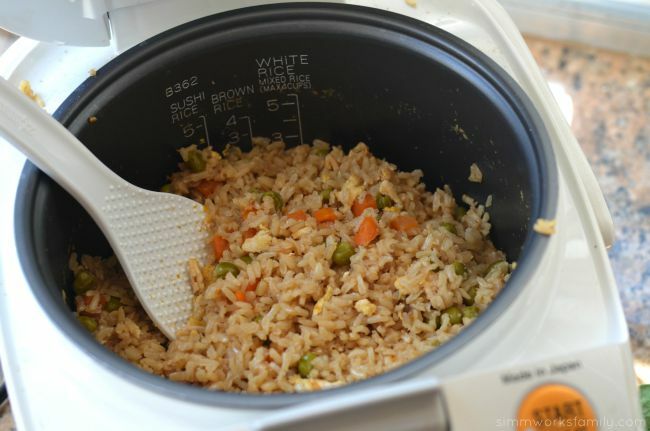 Add chicken broth and set rice cooker to the brown rice setting OR quick setting if you have a Zojirushi rice cooker. 1. 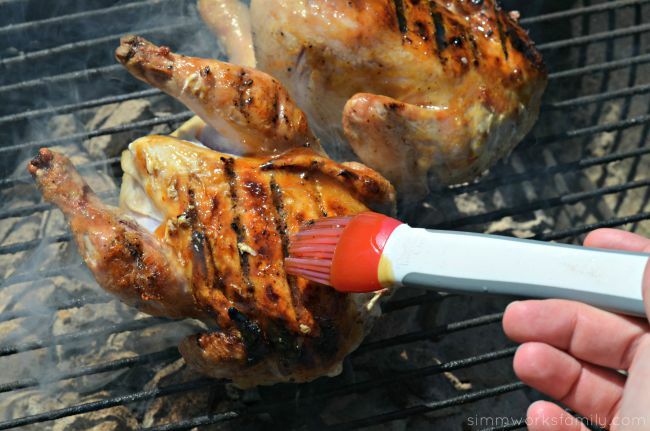 Heat up the grill. Make sure the charcoals are white hot before cooking. 2. 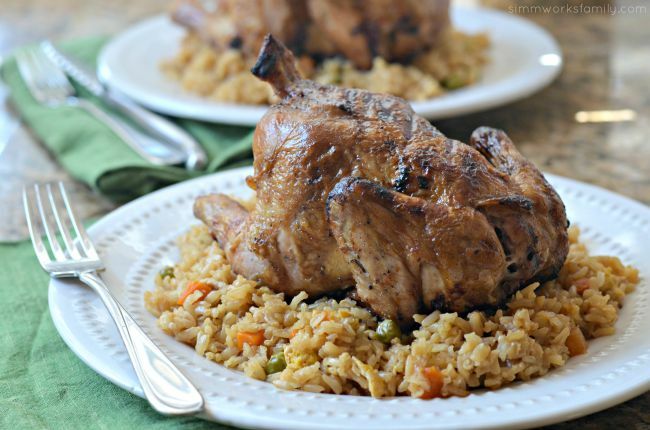 Take the Tyson® Cornish Hens and drizzle with olive oil. Season with salt and pepper. 3. Place on grill breast side down. Cook for 30 minutes. 4. Turn over breast side up and glaze with Kikkoman Stir Fry sauce. 5. Cook an additional 20 minutes or until internal temperature reads 165 degrees and juices run clear with no blood. 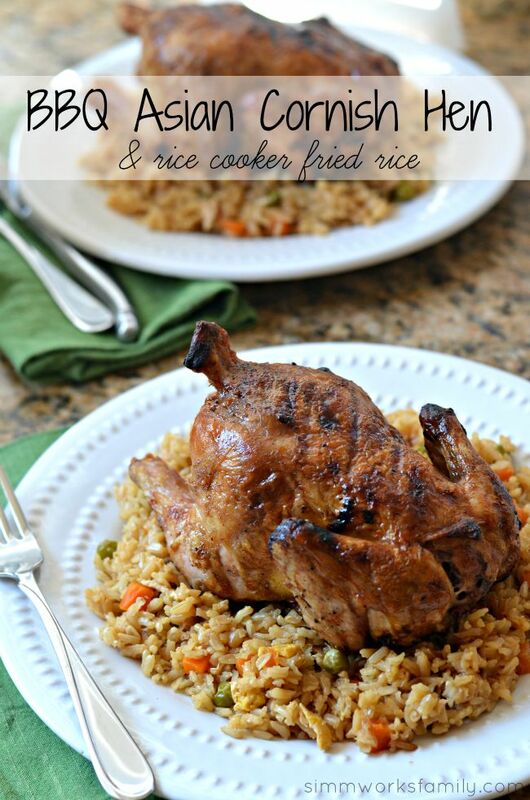 Serve the chicken with the rice cooker fried rice and enjoy a delicious date night meal together with your significant other! How do you make time for your significant other? 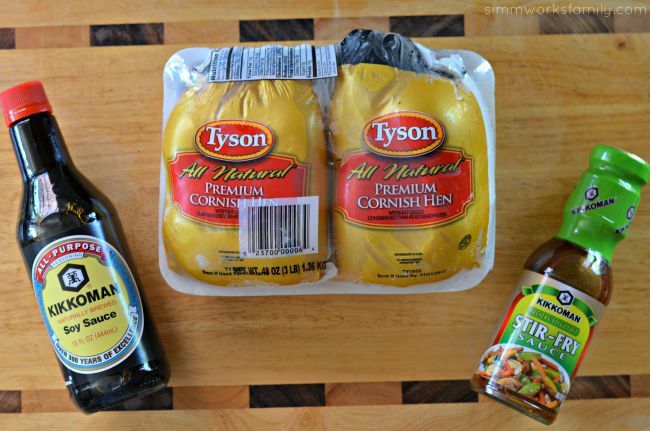 You can find Tyson cornish hens in the freezer section of your local Walmart. 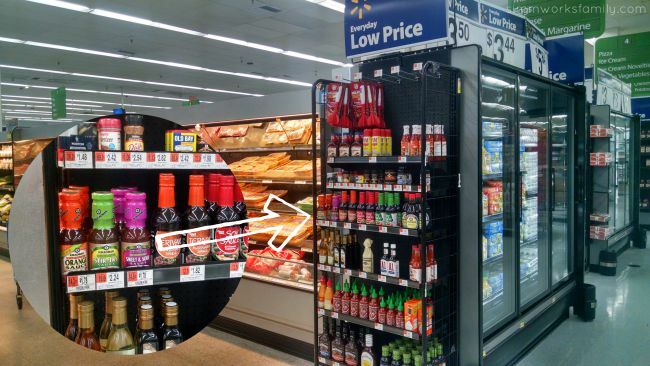 And right around the corner from the hens, you can find the Kikkoman products in the Asian food aisle or, like in my store, next to the refridgerated meat section. My husband and I have always been adament about enjoying date night regularly. It’s good for our relationship. Our marriage. And it’s always a fun event. 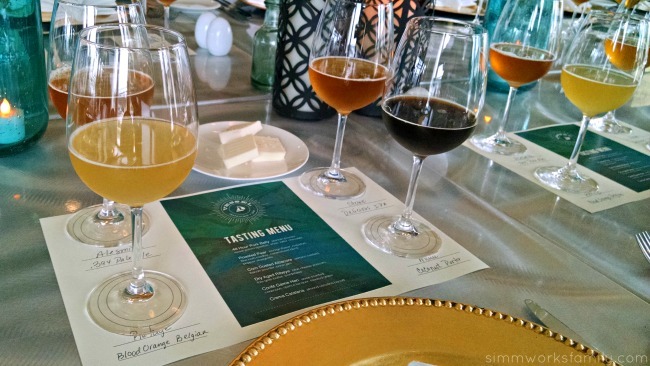 Whether we’re enjoying a bite before the theater, grabbing something quick before a movie, or are invited out to a private tasting at a local restaurant like we were this past week at Vessel Restaurant at the Kona Kai resort. Something about being able to reconnect with out the kids in tow is good for us. And we enjoy the time we spend together. 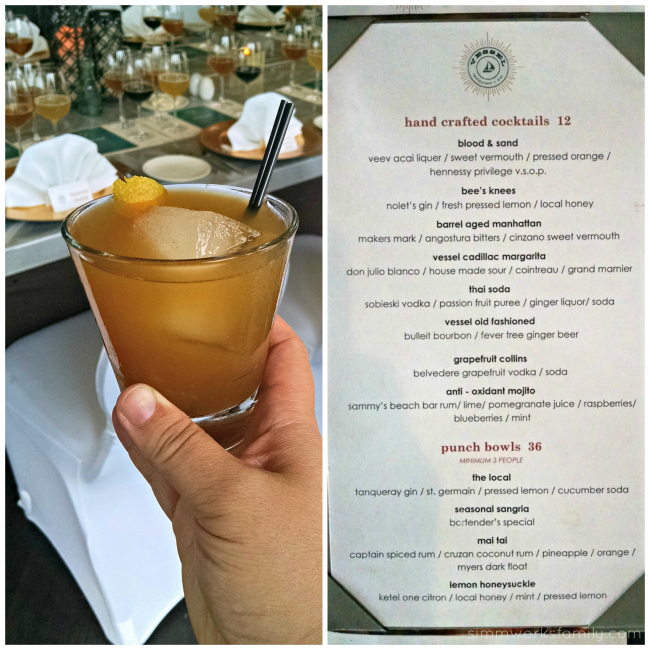 We’ve visited Vessel before and love the food that Chef Roy Hendrickson prepares. 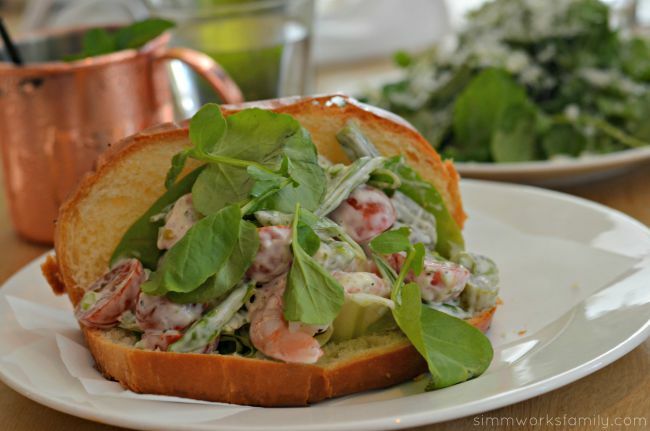 He likes to create New American cuisine featuring seasonal dishes prepared with locally sourced and sustainable ingredients and always seems to hit the nail on the head with his flavor combinations. 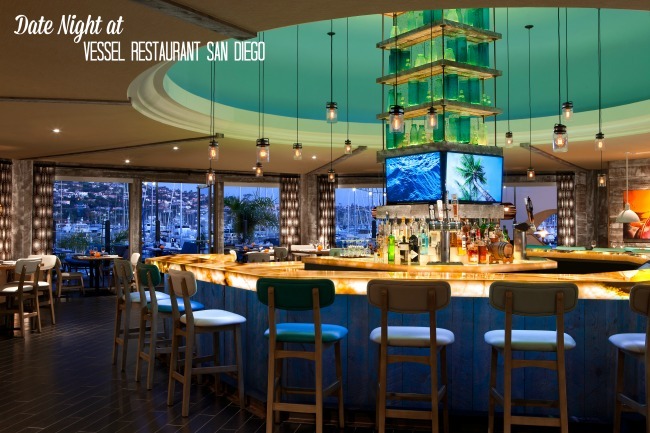 Vessel features a stunning outdoor patio set against the colorful backdrop of the picturesque marina, a 360-degree bar at its center and a video wall showcasing local landscapes. Dinner with a view. Only the best here in San Diego. Before enjoying our meal, we perused the cocktail menu. I decided to indulge in a blood & sand. It was refreshingly smooth with a citrus twist and definitely hit the right spot after a long day od working and taking care of the kids. After cocktails we sat down to taste the dishes Chef had prepared. Starting with an amazingly decadent 48 Hour Pork Belly that literally melted in my mouth. And theMaui Coconut Porter he paired it with was equally enjoyable. The 48 hour pork belly was served with plantain powder, sweet potato spaetzle, anise, bitter chocolate. Next up we enjoyed a simple roasted pear with borage flower, blue cheese, fine herb medley, caramelized black pepper vinaigrette paired with an Alesmith .394 Pale Ale. 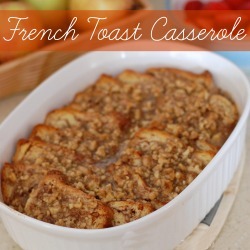 I could definitely taste summer through this sweet and savory dish. 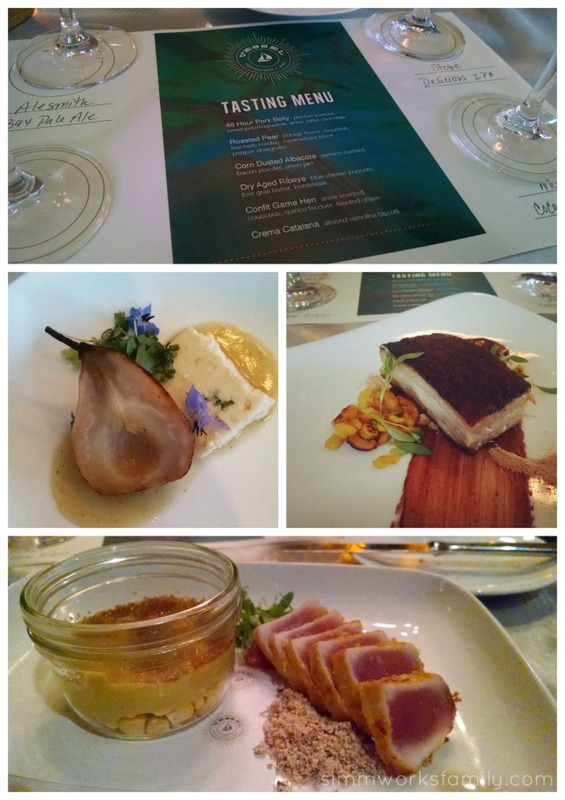 Before we had to leave the tasting a little short (parenthood doesn’t always get put on hold during date night), we were able to savour a delicate corn dusted albacore with Serrano custard, bacon powder, and onion jam paired with a Refuge Blood Orange Belgian. Yes, you read that right. Bacon. Powder. Seriously amazing. While we weren’t able to enjoy the last two dishes and the dessert course, we will still be back to try them out at another time. Date night at Vessel Restaurant was perfect. 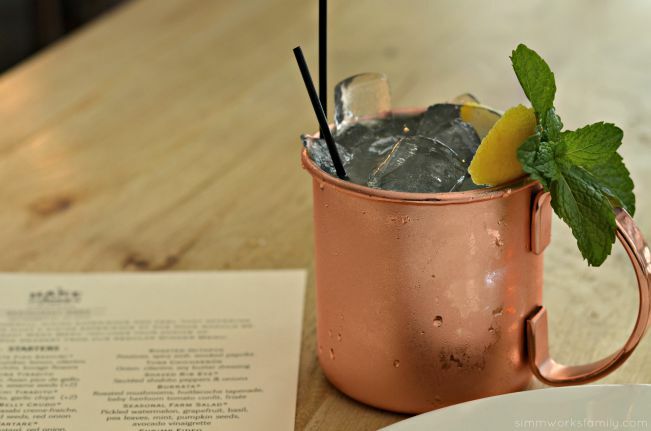 With fabulous dishes, the perfect ambiance, and tasty beer pairings, summer at Vessel is going to amazing. 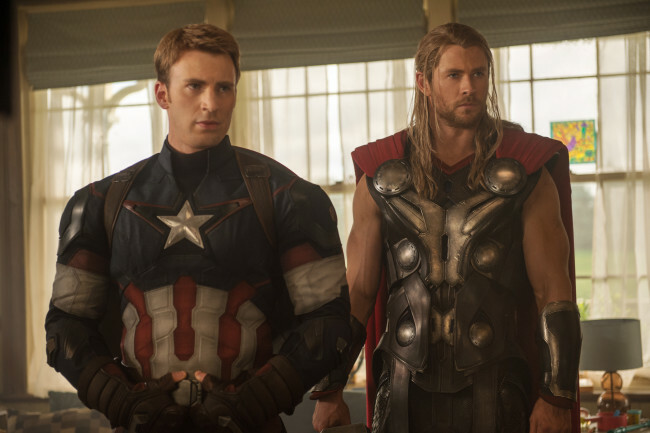 Avengers: Age of Ultron – Date Night OR Family Night? 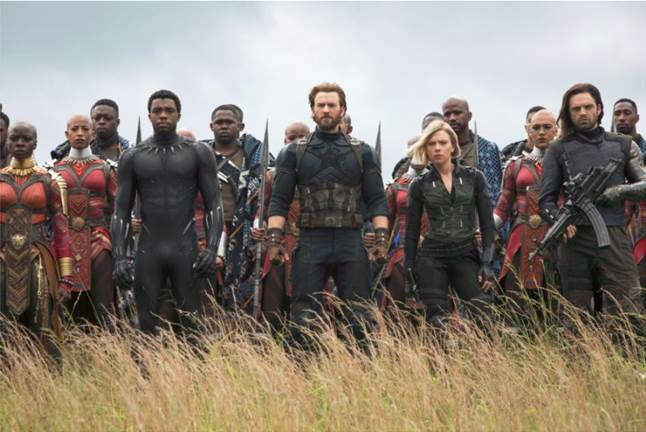 It is time for the big summer movies and Avengers: Age of Ultron does not dissappoint, so grab your favorite date or huge Marvel comic fan and sit down for entertaining 2 and 1/2 hour adventure. This movie is a good blend of fast paced action, humor, and special effects. The premise is that Ultron was created by Tony Stark (Iron Man) assisted by Bruce Banner (the Hulk) to protect the world from bad guys thus making the Avenger’s jobs easier or not needed. Like only a computer mind can do it figures out the best way to protect imperfect humans is for them to evolve. Unfortunately Ultron’s plans to spur a new race of humans is a global cleansing of the existing gene pool. 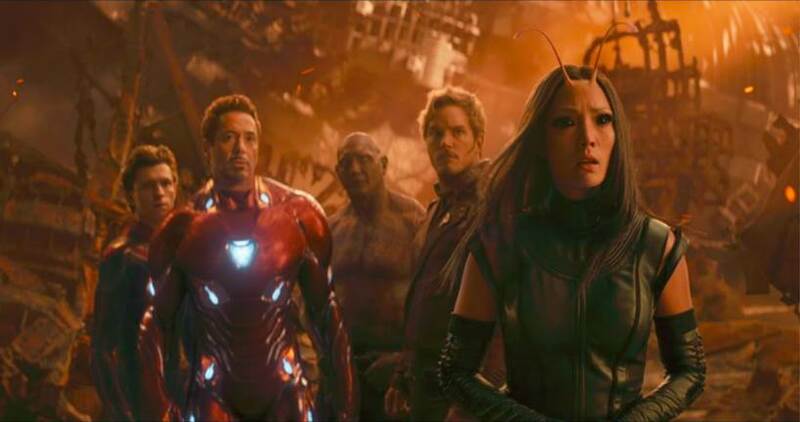 So our heros cross the globe hunting down the robotic villian Ultron who is assisted by two twins that have been inhanced with special powers and his many robotic copies. Its enjoyable when a movie’s characters have a good repore on sceen. These scenes lend themselves to some good humorous moments, like when each hero takes a turn attempting to lift’s Thor’s hammer and his reaction when it budges. Further the movie avoids some of the cookie cutter patterns when the movie sets up one of heros as a family man we are not subjected to watching him sacrifice himself later. The character of Ultron is very interesting on screen and his vocal work was very well done. This movie is a fun one to share with a date. You will both laugh and enjoy the action. If bringing children the movie was rated PG-13, so it is most likely too intense, in my opinion, for anyone under 10 years old. It also has a little profanity that some parents may not care to have their children hear. Also? Stay until after the credits… you’ll thank me later! Will you be seeing Avengers: Age of Ultron this weekend? Already saw it? What did you think? This post written by my husband, Joseph Simmons. 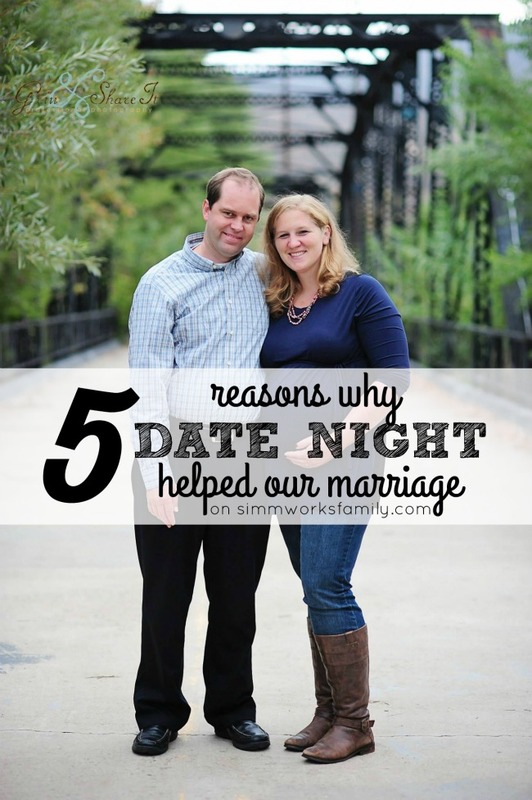 Are you a couple who keeps pushing date night further and further into the calendar? It’s important for couples to have that time alone. 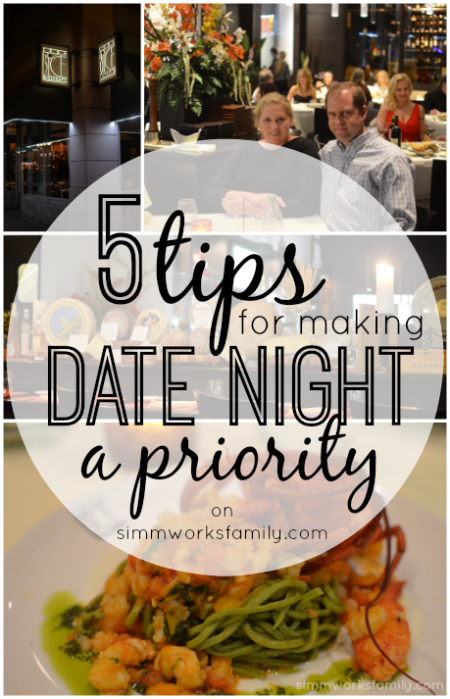 Instead of putting it on the backburner, use these tips to make date night a priority. Date night doesn’t have to take a back seat and these tips are living proof! Take the time to make your spouse feel wanted and loved by taking them out on a date at least once a month. There’s proof that shows that couples who take the time to date their mate, have a better chance at staying married. 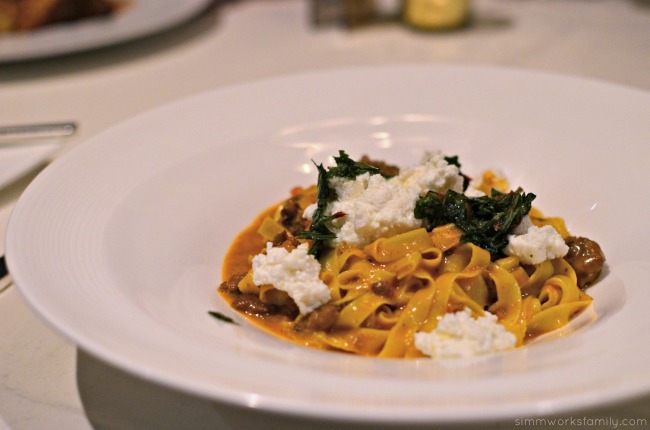 San Diego Restaurant Week is one of our favorite weeks of the year. Not only do we get to step outside of our normal eateries and try something new but we also get to choose what we want to try based on our budget that week. At the beginning of the year I attended a preview of San Diego Restaurant Week to enjoy bites from a few different places but this year I was asked to head out to a restaurant to enjoy their restaurant week menu a week early.